Roger Davidson embarked on a long journey to get where he is today. 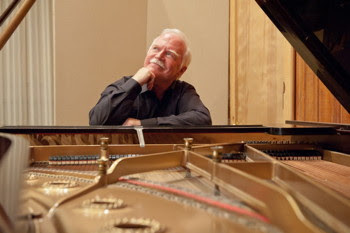 He grew up in both Paris and New York and was originally a trained classical pianist. He fell in love with jazz in the '90s and began a successful recording career in that genre. Oracao Para Amanha, his latest CD, is the result of more change--his love for Brazilian jazz has blossomed considerably in recent years, and he decided to form a new trio with bassist Eduardo Belo and drummer Adriano Santos. The three started playing the hot spots in NYC, and jazz lovers started showing up in droves. This CD was recorded live over several nights in the Zinc Bar in NYC, a place famous for featuring Brazilian jazz musicians. (The applause is unusually muted and distant in this particular recording, which seems a little odd at first.) The trio was joined by Hendrik Meurkens, considered a modern virtuoso for both harmonica and vibraphone. The result is a crisp, electric set that jumps out and engages you immediately. To show how committed Davidson is to Brazilian jazz, he composed all twelve of these tracks--an amazing feat when you consider how rich and distinct each song sounds. After the first couple of listens, I just assumed that Davidson and his ensemble were playing Brazilian standards. Despite the fact that much of the tracks are devoted to improvised solos, especially when it comes to Meurkens' unusually folksy harmonica, melody is king here. 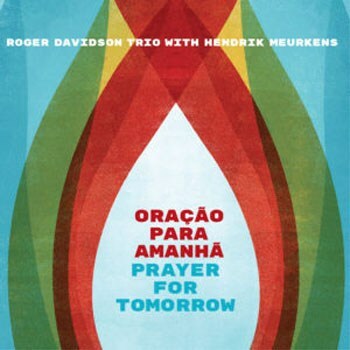 While most of these contemporary jazz releases I've been reviewing have good to excellent sound quality, I will mention the excellence of Prayer for Tomorrow. Percussion sounds tight and punchy--you feel it in your gut. Other than the distant feel of the audience, this CD captures a lot of that energy and spontaneity that's only found in well-recorded live albums. Highly recommended.